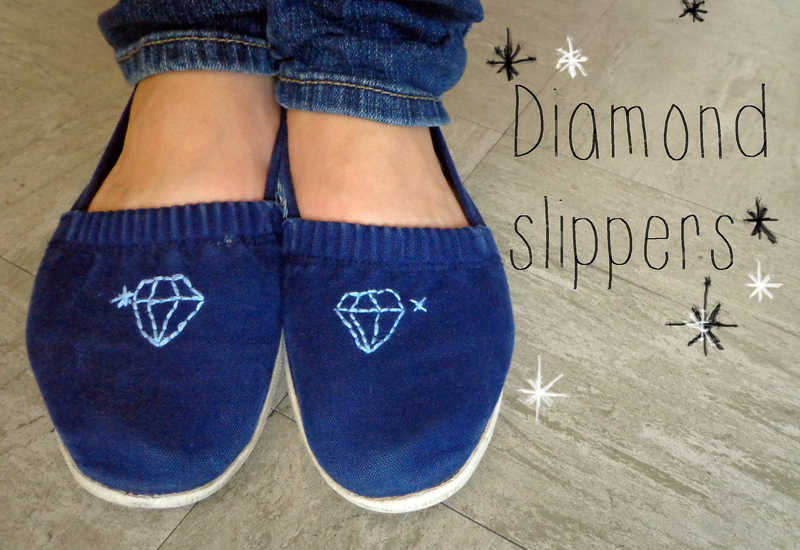 I’ve had these slip-on shoes for a few years now, and decided they needed an upgrade…to diamond slippers! This is a really easy DIY. For a hand-drawn look, I backstitched the diamonds without tracing the shape in watercolor pencil beforehand. I used all six strands of my floss. For the insteps, I did a little cross hatching. The key to having neat lines is to draw evenly spaced dots across the top and bottom using watercolor pencil. This idea works best with simple shapes. Other than diamonds, I considered using cats, cupcakes, and cool geometric designs kinda like this but not nearly as complicated looking. I am super excited to be going to Florida over spring break with my sister in a few weeks! But that means wearing the dreaded swimsuit! D: I’ve always hated swimsuit shopping, especially since I don’t wear bikinis. 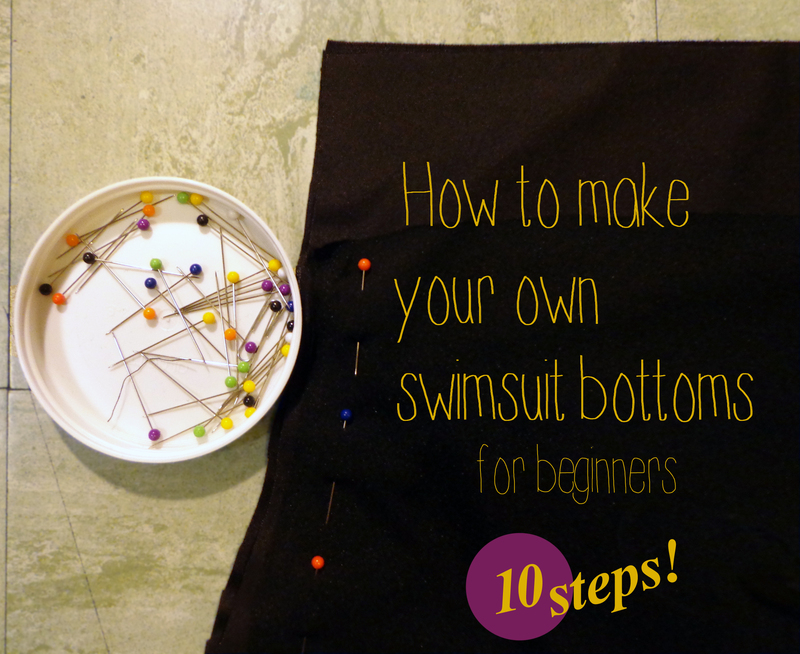 Luckily, making your own swimsuit bottoms isn’t nearly as difficult as it sounds. 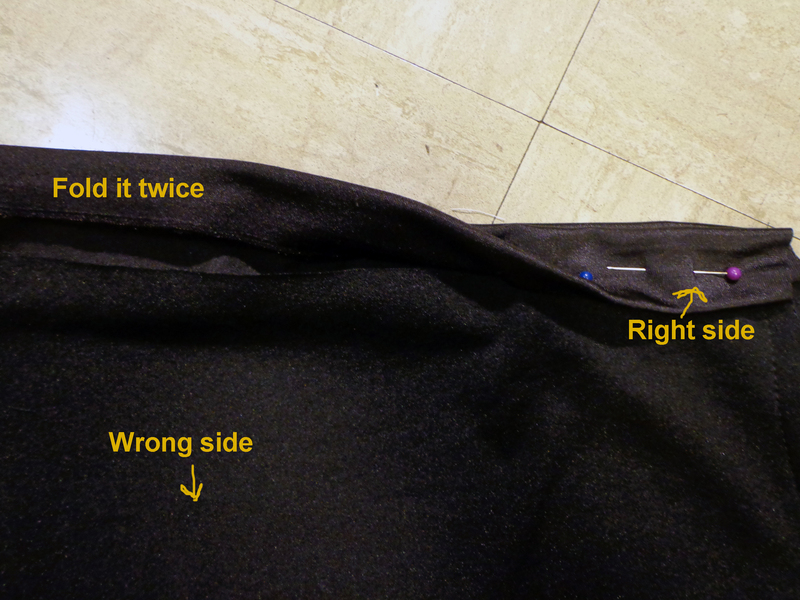 Fold the lining fabric in half, lay the pattern on top, and use pins to secure it (unless you’re reckless, like me :P). 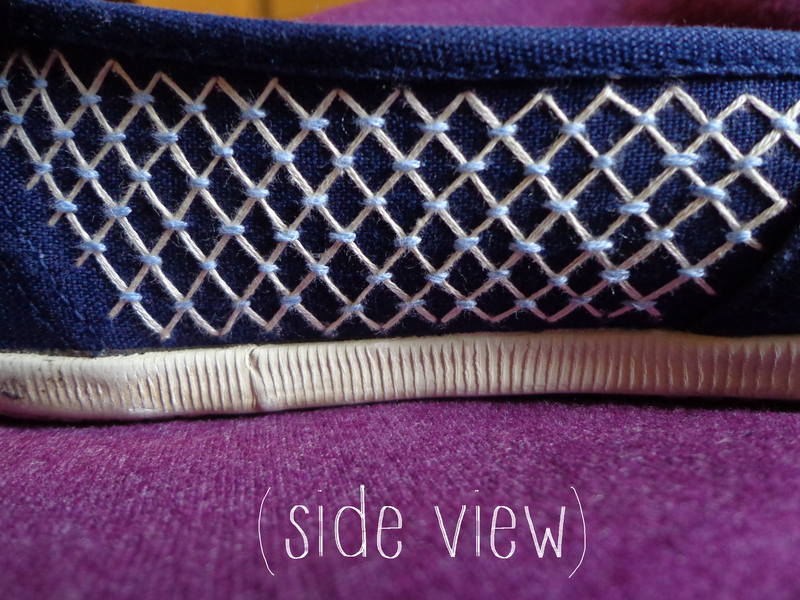 If you included seam allowances in your tracing, you will cut directly around pattern. 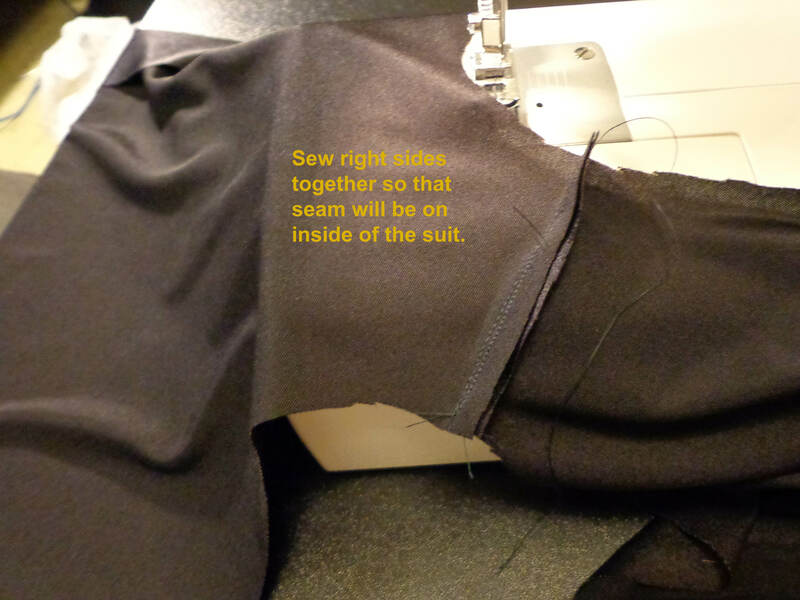 If you did NOT include seam allowances, leave extra space when you cut (bigger seam allowances mean more room for mistakes/hemming later on). 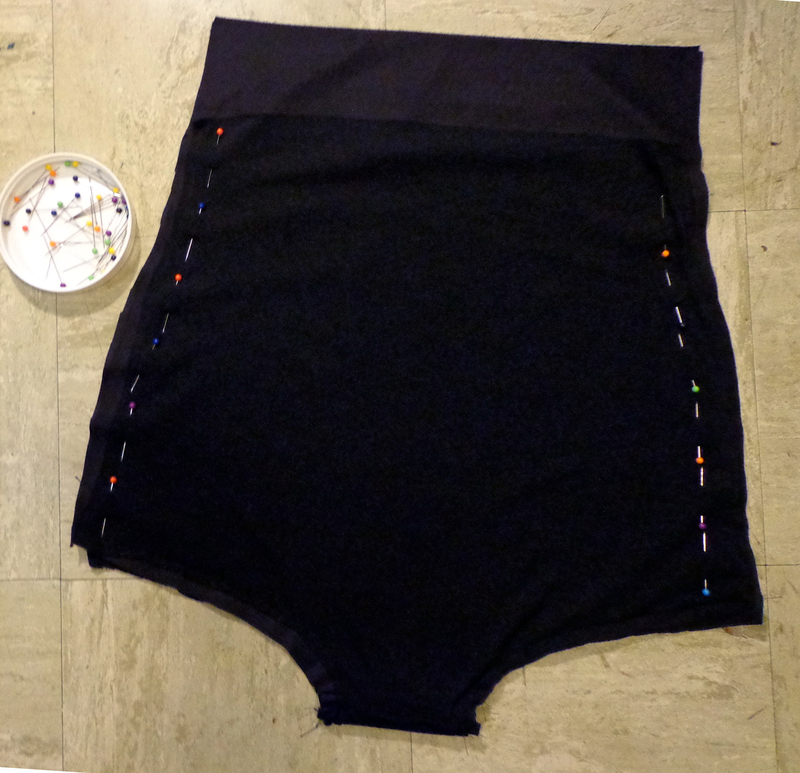 Do the same thing with the main material, but leave about 3 extra inches at the top, which will be your waistband. **Make sure your fabric is placed so that it is stretchiest from left to right– your belly deserves to be comfy! 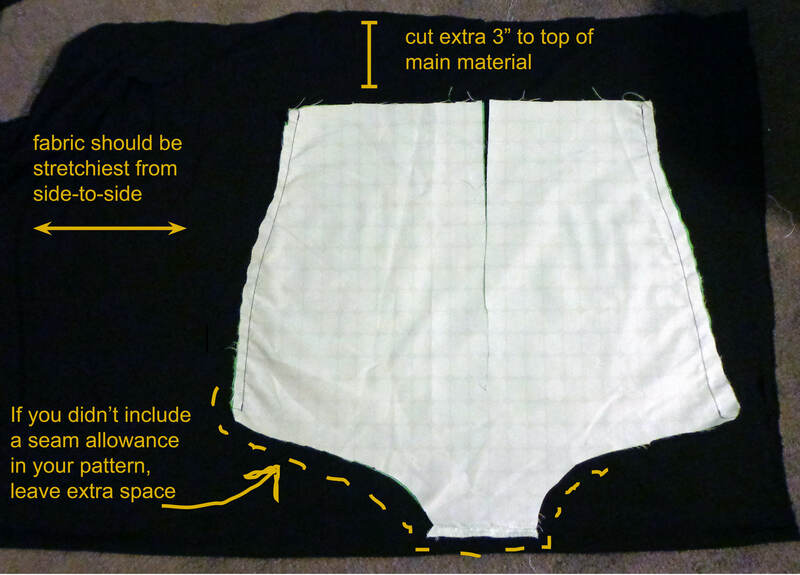 After you cut around your pattern, you will have 4 pieces: two of lining and two of main material. 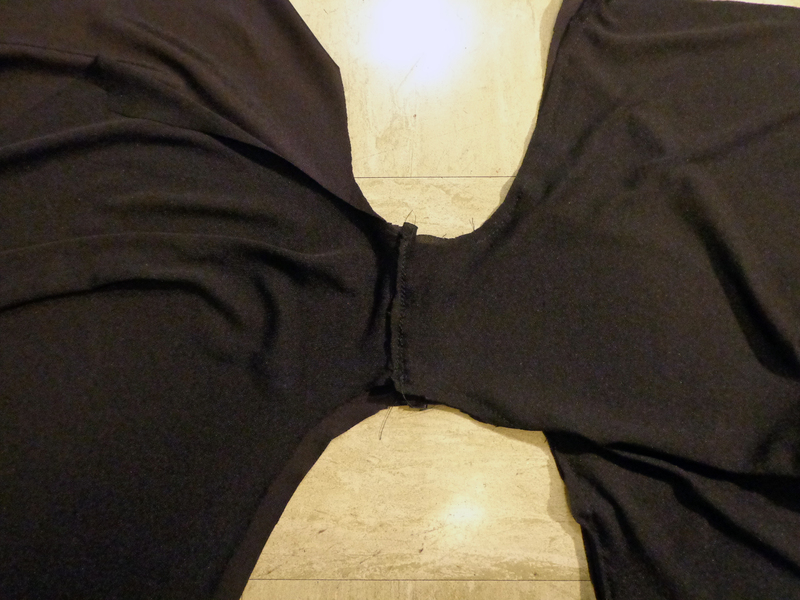 Hold the right sides together at the crotch and sew straight across. I used a stretchy straight stitch with a tension of about 6ish. Assume this for all seams unless stated otherwise. Do the same thing with the lining. I tried to be fancy and do a french seam, but couldn’t get it to look right and ended up with a regular old seam. 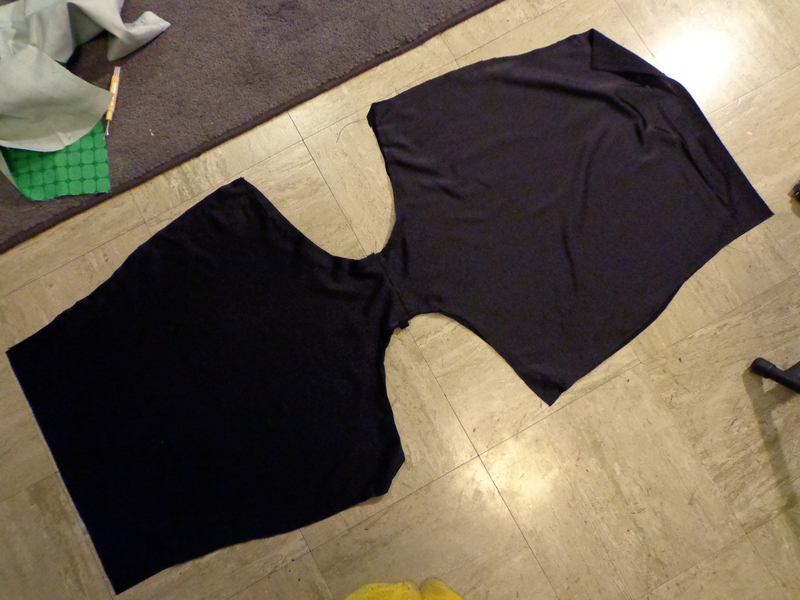 And if you’re smarter than me, you’ll lay the material down so that the seams are on the inside, facing each other. Line up your pieces so that they match. You can’t really tell in this picture, but I was sloppy when I cut my pieces in the beginning. So if your pieces are a little bit off, don’t worry! It’ll probably work out in the end. For now, you can leave the leg opening unstitched; we’ll get to those later. With the wrong side facing up, fold the main material over twice so that its raw edge will be lined up with the raw edge of the lining. Pin it. 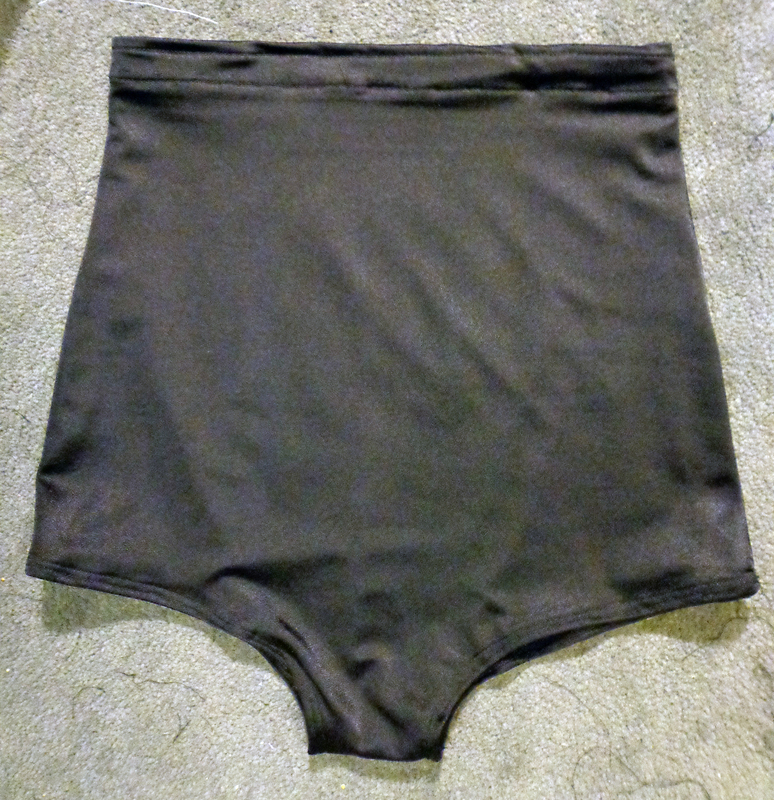 Turn the bottoms inside out and sew the sides together. 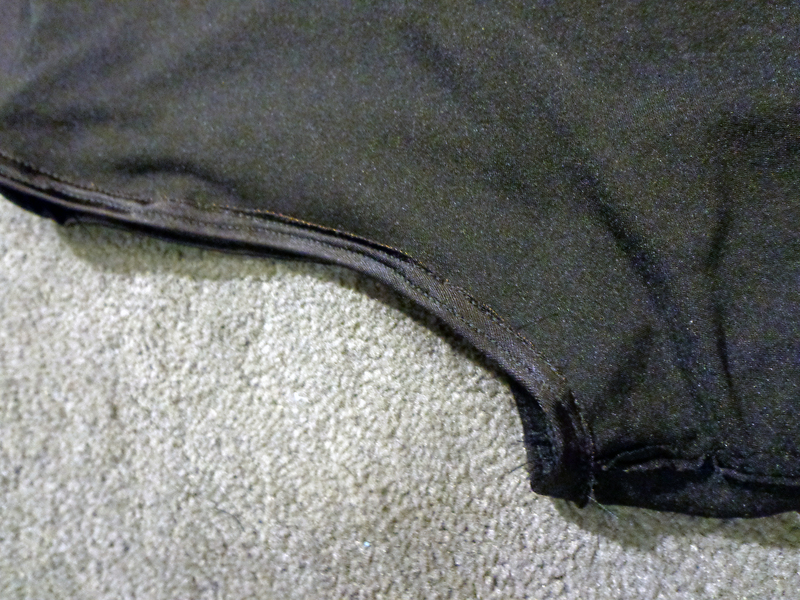 You can use a non-stretchy straight stitch on this part since this seam won’t have to stretch sideways. 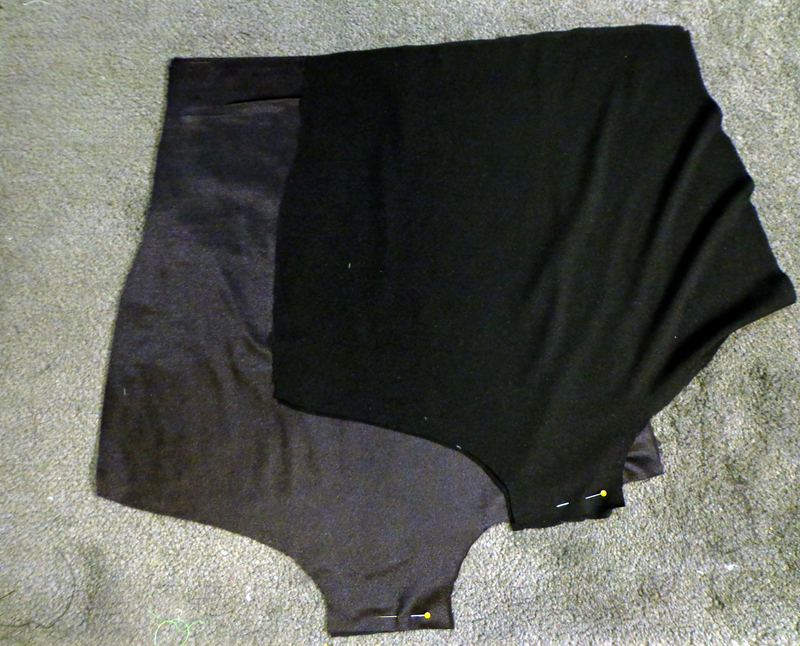 I did my steps out of order, so the picture is messed up; yours should have the waistband completed already. Still turned wrong side out, carefully make your way along the edge of the leg openings, folding and pinning as you go. Small seam allowances like mine are fine, but it would have been a little easier if they were a bit wider. 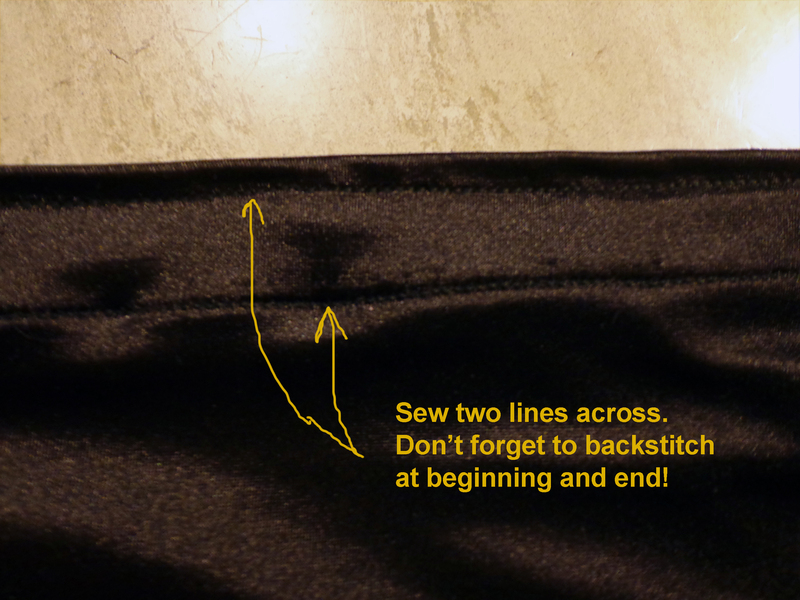 **You might want to practice sewing a curved hem on a piece of scrap fabric first. 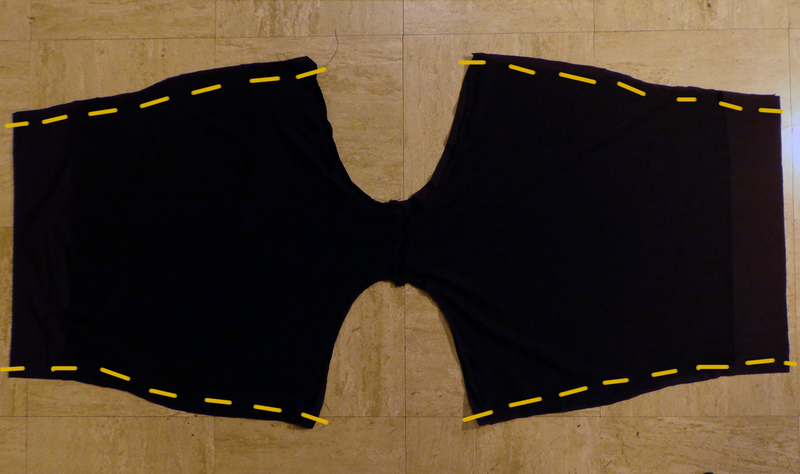 Working with stretch fabrics can make curved hems even more annoying than usual, but you can do it! Here’s what it should look like when you’re done! Pinterest and I have an ambivalent relationship. There are so many cool things to discover and pretty pictures to look at! But I spend way too much time looking at it. However, it’s still pretty sweet when I find something through Pinterest and actually follow through with it. 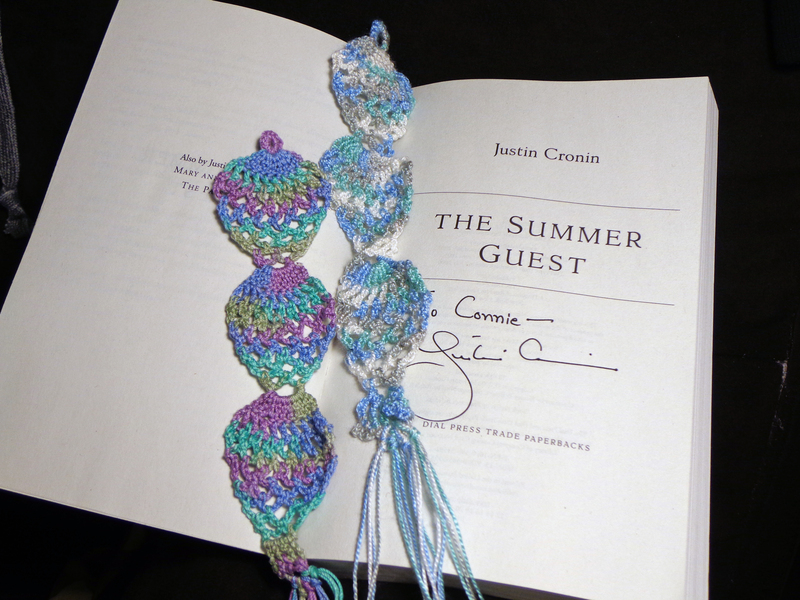 Like these crocheted bookmarks! My boyfriend bought me this book and got it signed by the author during his winter residency this January. Isn’t he sweet? Justin Cronin is probably more well known for his other novel, The Passage, which is the first in a trilogy and is going to be made into a movie. This is the first time I’ve used crochet thread before. These two variegated threads (and the hook I used) were given to me by a family member over Christmas break. I’m excited to do more cool things with thread in the future. I’ve also been working on some sewing projects, which I can’t wait to share!! This is actually a gif. If the picture isn’t moving, then open it in another window to see the animations. 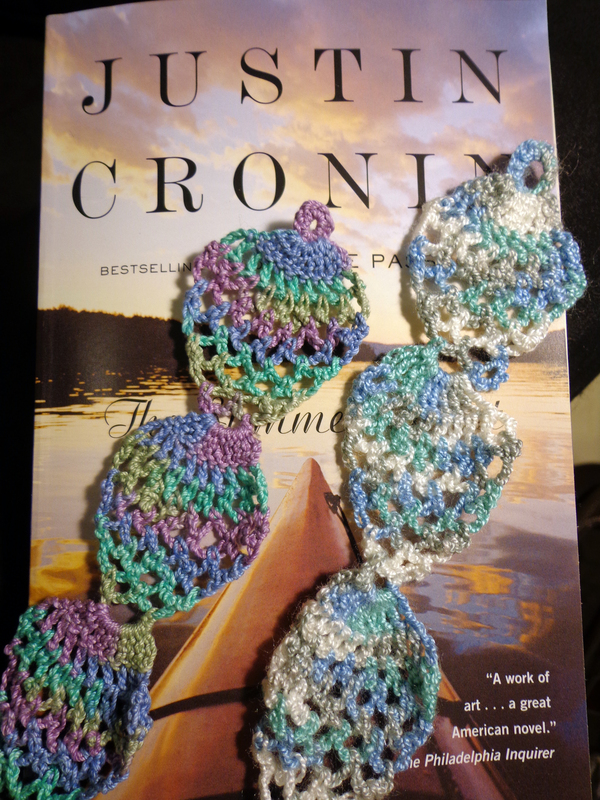 To make the sleeve extra thick, I crocheted with two strands of yarn (acrylic, medium weight) using a K-sized hook. 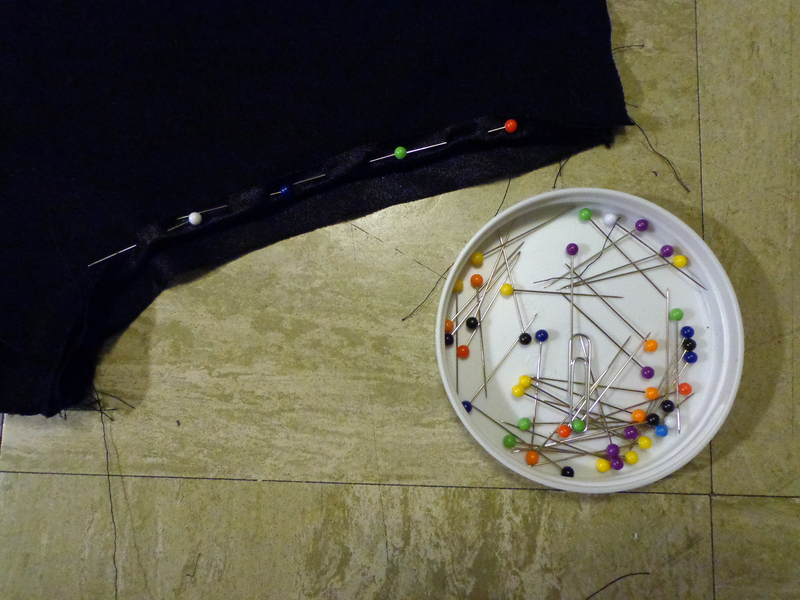 The body is worked in a circle, which I laid flat in order to sew a seam in the bottom. 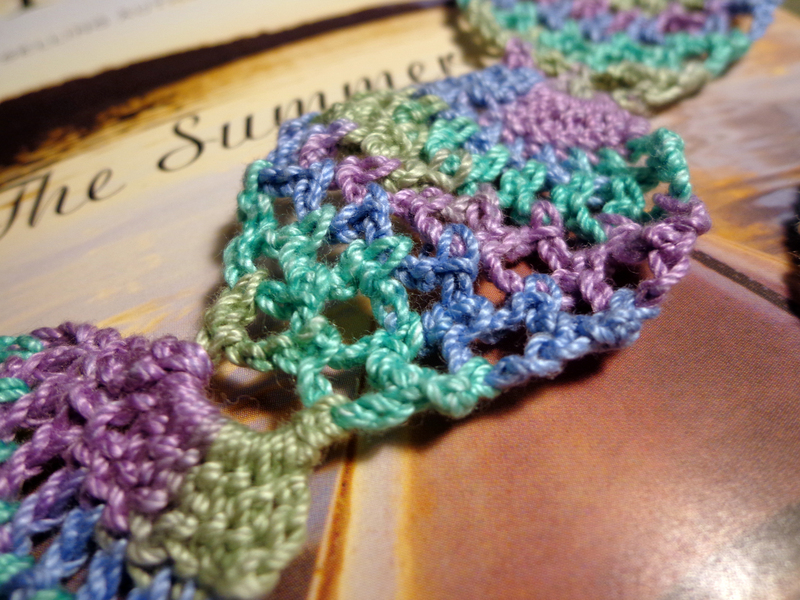 I used the half double crochet stitch. For the strap at the top, I made three vertical rows of half double crochet stitches and sewed it to the back of the sleeve. 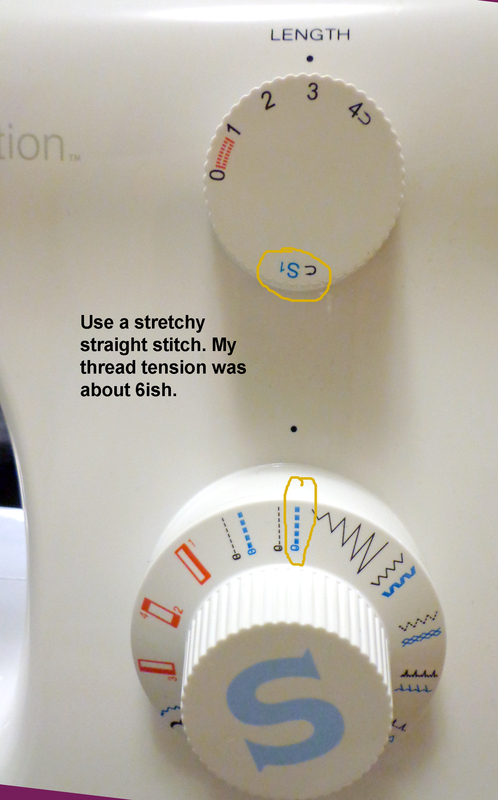 The space between the stitches is big enough for a medium-sized button — no need to chain over any spaces to create a buttonhole.